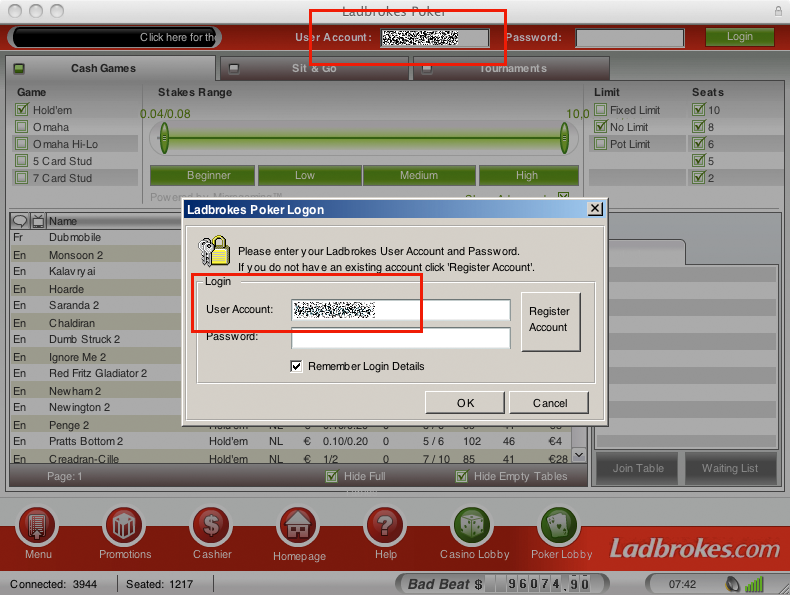 I read on Egaming Rewiew’s website that Ladbrokes launched a new version of its poker client from Microgaming. And I thought I would try it out since it’s been a while since I played on Ladbrokes. It sure surprised me when I launched the flash poker client and saw that my username from my Unibet account was already pre-populated in the username field. 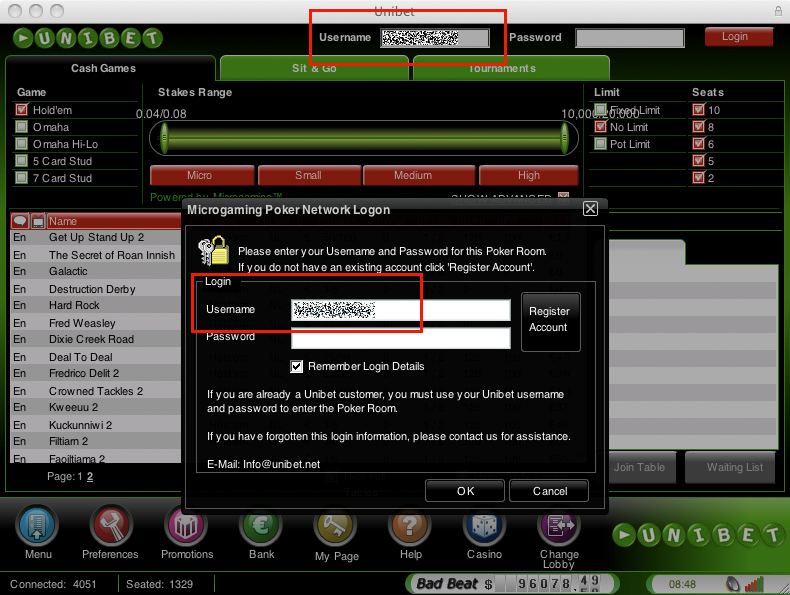 I thought “oh great I can use the same username since both Unibet and Ladbrokes have the Microgaming poker client“. As you can imagine my username from Unibet didn’t work and I got confused. So I think Microgaming should store which operator the username belongs to as well and not just that I’ve used the poker client before. It will remove the confusion.